Glyn Dewis is a professional photographer, retoucher, and trainer based in England. He has worked with a variety of national and international clients ranging from the BBC, Sky TV, and Air New Zealand to athletes, musicians, and other industry professionals. He teaches a variety of classes including his own series of workshops, one-on-one coaching, and events around the world. In the first part of this class Glyn Dewis showed you how to capture a wide range of shots on location in a boxing gym. Join Glyn back in the studio as he shares his post processing techniques and retouching tips and tricks as he works on each of the photos from the shoot. The goal is to deliver final images that are true and realistic, so post processing is minimal and focuses on finessing the results captured in camera to bring out the best in the subjects and location. Join Glyn Dewis on location in a boxing gym as he teaches you a variety of ways to photograph muscular physiques that make them look fantastic! Glyn walks you through his gear, five different lighting setups, and all the while sharing his tips and tricks about how to find the best angles in tight spaces and keep your footprint small so as not to interfere with other people training. Whether you are looking for a new personal project to build your portfolio or new ways to expand your commercial photographic offerings, the lessons learned apply equally, and Glyn's focus on building trust with the athletes and facilities will help you get the shots you want and get invited back to do more. Be sure to check out the second part of this class where Glyn demonstrates the post processing required to complete each of the shots. Get ready to have a blast learning how to create character-based composite images with photographer and retoucher Glyn Dewis! Starting from scratch, Glyn will teach you every step in his process; from cool ways to use social media for brainstorming and communicating ideas to the importance of building your own stock image library while on location. Glyn demonstrates how he works with non-professional models and shows you how to bring all the elements together in Photoshop. Along the way you'll learn numerous tips and tricks and leave the class inspired to go out and create your own fantastic composites. 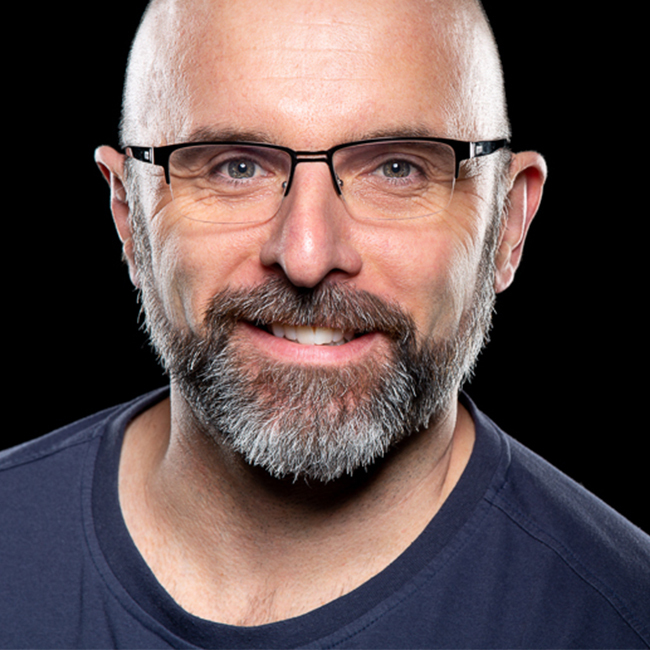 Spend an hour talking business with Glyn Dewis, a photographer, retoucher, and trainer based in the UK. Glyn sits down with Kelby Training's own Mia McCormick to discuss the business side of being a working photographer and retouch artist, where they delve into a variety of topics, such as developing a personal style, staying connected with clients, the importance of planning, and how to make the best of it when things go wrong. Throughout the interview Glyn shares fantastic tips of the trade and some of the advice that has helped him the most.